For travelers and locals alike, nightlife in Thailand is amazing and they love to enjoy it at the best level. 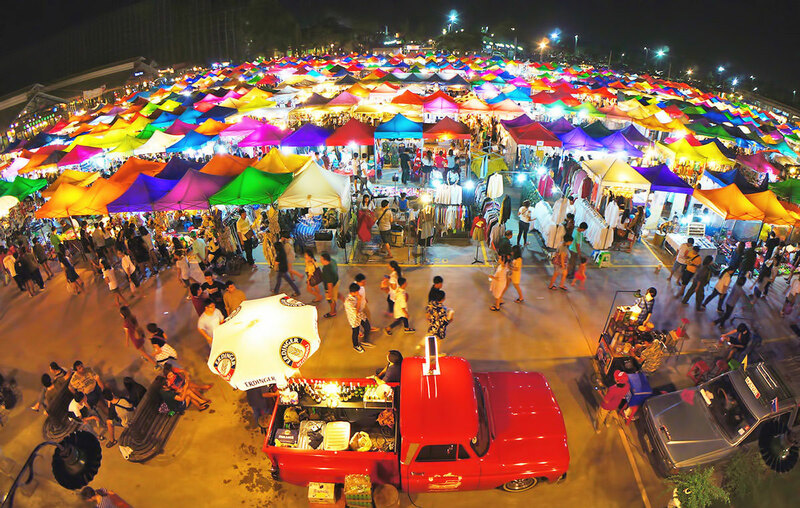 Night markets in Thailand are also quite popular that are known for offering an unforgettable holiday experience as well as a fantastic opportunity for some discount shopping that you will love to enjoy. There is no denying the fact that every market features an amazing selection of local street snacks and meals, unique hand-crafted items, cheerful vendors and a wide range of fake designer goods or imitation goods. These wonderful night markets are sure to keep you busy by offering something different. Whether it’s a special kind of goods, exceptionally low prices, special cultural shows or amazing food, everything is available for you. Depending on your location in the nation, you can enjoy more fun by booking Bangkok Thailand holiday packages from India all inclusive or Book Thailand honeymoon packages from Mumbai from Smart Holiday Shop. Here, travel experts and guides of this leading travel agency create a list of best night markets in Thailand that are the following. People call it Friendship Border Market too where you will see massive swath of stalls and shops. It is not a night market as it remains open during the day too; however, it is among the biggest and busiest retail areas in Thailand. 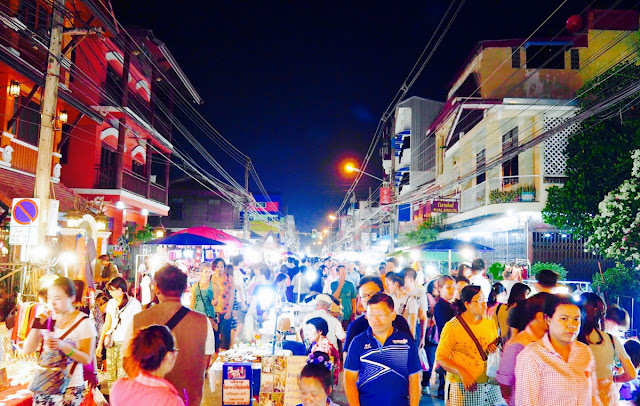 The wonderful night market is situated right alongside the Poipet Border Crossing into Cambodia that is about 255 km east of Bangkok. It spans a huge area with thousands of vendors; many of them are travelling and visiting from neighboring countries to offer new and interesting items. You will see two Roi Fat Markets in Bangkok, but the biggest and best is found just behind Seacon Square Shopping Mall on Srinakarin Soi 51. 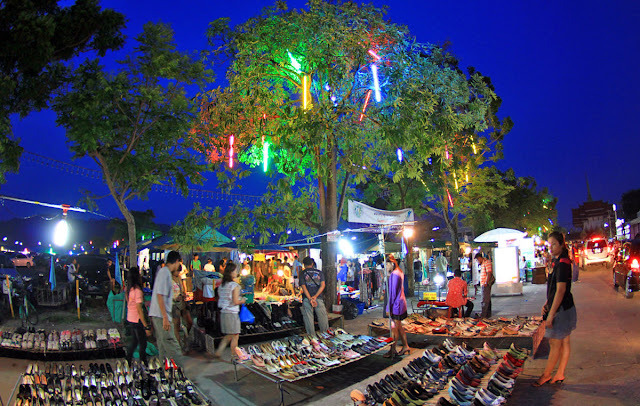 The wonderful night market is divided into three zones that include market zone, warehouse zone and Rod’s Antiques. You will see more than 2000 stalls selling anything from fashion to home-ware. Warehouse zone and Rod’s Antique are the really interesting parts selling unique second-hand goods from hobbyist items to collectable and amazing one. You will stay busy for more hours here. Extending across the majority of the lovely Old City from eastern gate to the entrance of Wat Phra Singh, Chiang Mai Walking Street is ideal place to explore during your tour to this area. You will get a great mix of street snacks, clothes, handicrafts and a very friendly atmosphere among other wares. It is probably the most popular weekly market on Koh Samui that has been attracting a huge number of tourists and Thais. You will see a charming backdrop of the lovely market with food vendors, dancers, artists and impressive variety of goods on sale at excellent prices. You can choose anything from craftworks to known-off designer items with lots of interesting option in between. 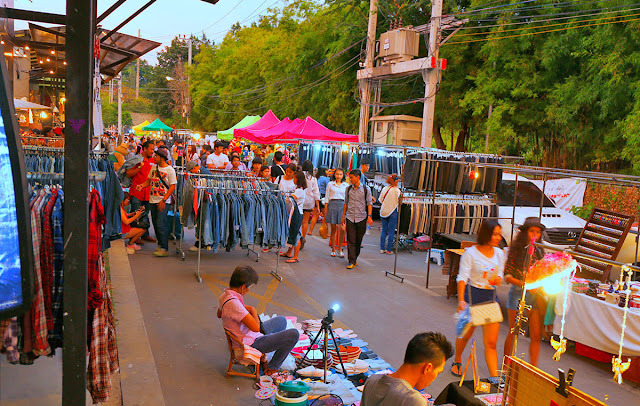 Being the part of vintage flea market and part of local drinking hangout, JJ Green Night Market is one of the most popular one that is open throughout the week where you can visit from in the evening from Thursday to Sunday. You will find shops with specialization in cheap, second-hand clothes and genuine retro items like old car models, artwork, antiques and collectables. 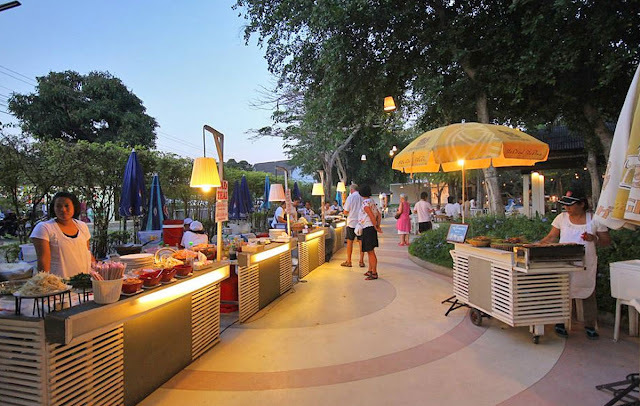 It is located down the road from the famous Chatuchak Weekend Market. It is all about art, handmade crafts and good items. It is an open air market concept bringing together Hua Hin’s artistic talents and those who wear freedom of expression on their sleeves. You will also see art gallery, beer garden and live music that will surely keep you busy. 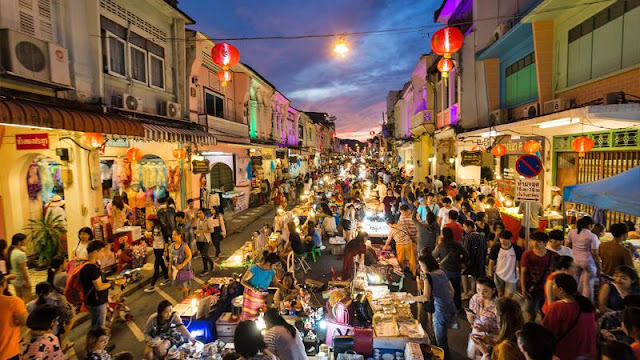 It is a small and quiet walking street night market in Thailand remaining one of the best for the reason of its beautiful setting right in the heart of Phuket Old Town. 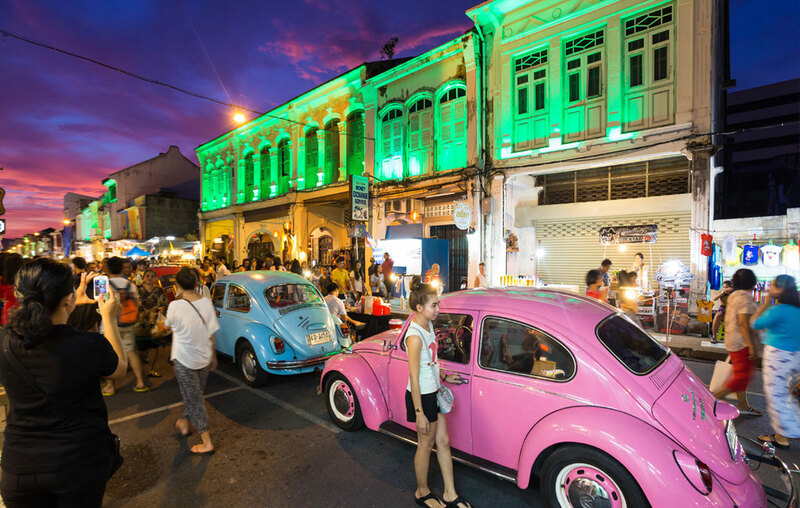 You will see colorful buildings of Thalang Road that has been providing you a backdrop to the even more colorful performers and vendors with traditional music alongside contemporary dance and stunt acts. Naka Market or Talad Tai Rot, the Phuket Weekend Market is the largest on the island that has been containing a massive selection of goods from second-hand goods to curios, pirated items and a lot more. It is dry in the rainy season too as it is covered by a corrugated metal roof. Covering four city blocks, Chiang Rai Night Bazaar has been presenting you the most remarkable range of cultural and local crafts. You will also get hill-tribe crafts like knitted scarves, embroidered bags, silver jewelry, bed spreads, wallets, fashion accessories and artworks along with a variety of clothing, electronics and knock-off designer goods. You will also see two outdoor stages for cultural performances and beer garden or food court. Locally called as Thanon Khon Dern, Krabi Town Walking Street is spreading along Soi Maharaj 8 and across the 2000 sqm plaza right behind Vogue Department Store in downtown Krabi. You will see more than 50 stalls selling a wide range of products and street food; while it draws an incredible large crowd for such a small area. This weekly event is the most notable for locals and tourists altogether. There are various other wonderful night markets and bazaars to spend time for something special and antique. Now, you need to create a tour plan according to your choice and make an advance booking. You can also choose Thailand honeymoon packages from Delhi smart holiday shop or get Bangkok Thailand holiday packages from India all inclusive. Don’t miss to go through day to day tour itinerary that is the best option to have a wonderful virtual tour. What a great article you write up! This market looks really awesome. Thank you so much for sharing a wonderful post and pictures you captured in your travel trip.